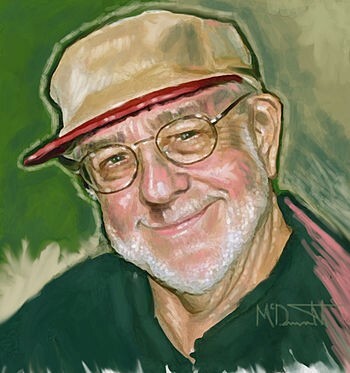 Portrait of Larry Stark by Jim McDermott. 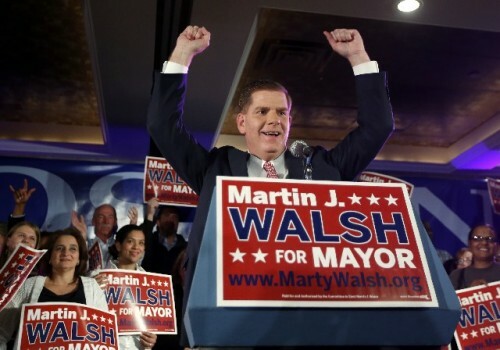 It’s time for Mayor Walsh to make good on campaign promises to the arts community. The national awareness of the supression of minorities on a municipal, block-by-block level in America is a cry for Concrete Action in every city. There are specific actions, financial and political, that can help. Another avenue that will help is a concrete and sincere effort to instill in minorities a feeling both of pride in self, and involvement in the general welfare. It's in such matters that the Theatrical Community still growing here in Boston could be of use. Let me suggest a few general, and probably expensive ways YOU could lead the way in this regard. I just saw Eric C. Engel's amazing production of August Wilson's FENCES up north at the Gloucester Stage Company. I had seen the play several times before, but Never did I see it done better. I have no idea of the commitments the cast may have, but were I Boston's mayor I'd find the money and ask all seven of those exceptiomally gifted actors to bring this movingly Human play into Boston --- perhaps at the Strand Theatre --- and bus in as many high-school students as possible to see, and later discuss, the ideas this play brings up. That would put Great Art at the service of the community in a way it does best. But there is another part I would love to see Johnny Lee Davenport play; it's of a self-made, miserly yet moneyed aging actor and his wife and two sons during their summer away from touring in their shore-side mansion. The play is LONG DAY'S JOURNEY INTO NIGHT, and Eugene O'Neil based it on his own lace-curtain Irish family --- but I do not believe that family could not be Black, I do believe Johnny Lee could be a magnificent James Tyrone ... and after seeing her in FENCES, I believe Jacqui Parker could be an unforgettable Mary Tyrone. And, since O'Neil IS America's Shakespeare, such a cross-casting would bring the universality of the play into the open. For theatres here in Boston, these would be Major Projects, demanding coordination, and cash. But the entire city would benefit: not only would they fan a personal pride in many Bostonians, they would place Boston in the forefront of a movement to make a Difference by Making Art. And, to put it bluntly Mayor, I voted for you Only because I thought at the time that your commitment to The Arts was genuine. I'm asking you for some proof of that commitment, right now. Yes, I know, Terrence McNally really IS America's Shakespeare, and so is Stephen Sondheim --- but the current crop of playwrights Here In Boston are howling at their heels! Maybe some Boston medical firm ought to fund a project, say at Hibernian Hall or Roxbury Community College, to found a sort of Black equivalent to the Boston Playwrights' Theatre --- giving original plays by or about Black people productions and mentoring criticism. August Wilson and Ntozake Shange shouldn't stay America's ONLY Shakespeares!